Two filmmakers portray life in the village and mission of Sangradouro, Mato Grosso. Adalberto Heide is an eccentric German missionary who, soon after first contact with the Indians in 1957, starts to film with his Super-8 camera. Divino Tserewahu is a young Xavante filmmaker who has been producing films for television and cinema festivals since the 90s. Their relationship shifts between one of complicity to one of competition and critique, yet there is also mutual admiration. The dynamic between the two filmmakers gives life to the complex history of Catholic missionary work among the indigenous in Brazil. 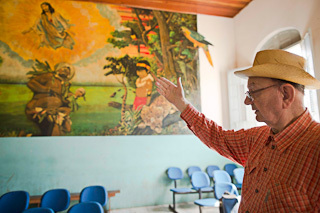 At the 46th Brasilia Festival of Brazilian Cinema, O MESTRE E O DIVINO was not only awarded Best Feature-length Documentary but also Best Score and Best Film Editing. Born in Belo Horizonte in 1982, Tiago Campos studied anthropology at the University of Brasilia. In 2005, he joined Vídeo nas Aldeias, a film school for indigenous peoples, and gave workshops that produced films such as BICICLETAS DE NHANDERU. 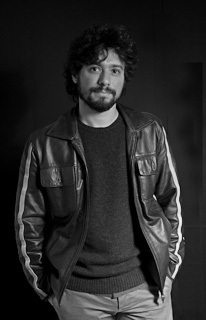 Before O MESTRE E O DIVINO, he has also worked in editing and post-production for Vincent Carelli’s CORUMBIARA, among many other films.